The Hormel Company of Austin, Minnesota sold the first canned ham in 1926. Hams are produced by almost every country in the world. Mainz ham is a German ham that is brined, soaked in brandy or wine lees (or a mixture of both) and then smoked for a long period. 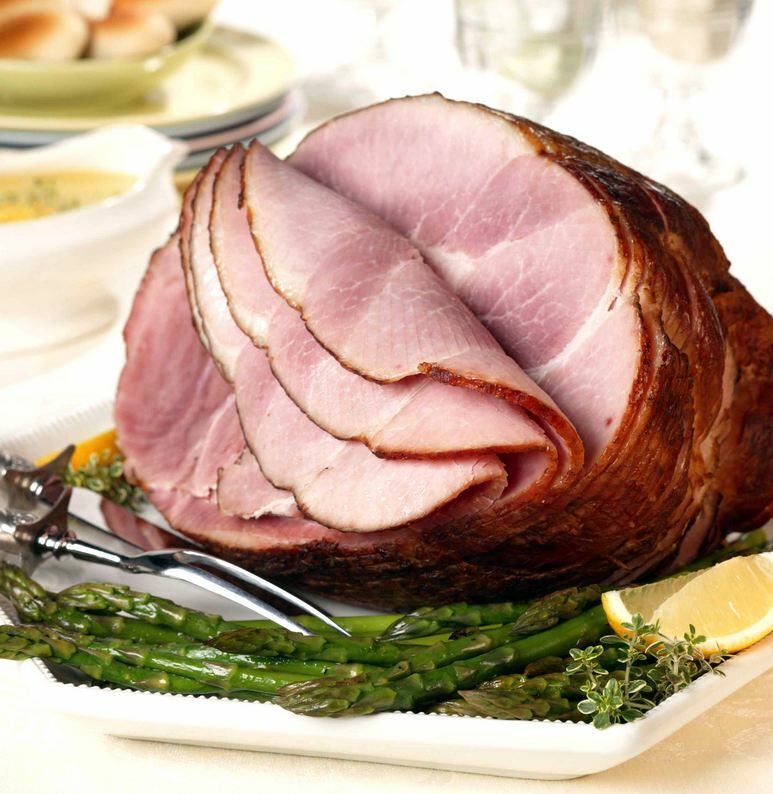 A country ham is much drier than injected-cured hams and has a sharper flavored due to its high salt content. A pig scratches himself with his right leg, which uses the muscles more often, so the meat will be tougher. Aim for the left leg if you can. 1710 Marie-Anne de Cupis de Camargo was born. Born in Belgium, this ballerina danced with the Paris Opera. Escoffier named many gourmet dishes in her honor. 1854 New York became the first state to fund a study of insects harmful to plants. 1878 Harley Proctor created Ivory Soap. 1912 John Jacob Astor IV died. Great grandson of John Jacob Astor, who founded the family fortune. John Jacob IV built the Astoria section of what would become the Waldorf Astoria Hotel (1897) in New York city (this was on the site that were the Empire State building would be built in 1929). He also built the Knickerbocker and the St. Regis hotels. He died on the Titanic. 1951 Household hints columnist, Heloise, was born in Waco, Texas. A whole day dedicated to the peronerance of glazed ham… this is the geatest country in the annals of history! Hmmmm Ham! Glazed is the way to go, maple, brown sugar, glacé cherries, cloves, pineapple! Anything is fine by me but get that shiny glossy coating on!!! Do you know that … most of our hams are tumbled in some kind of salted water(like in massive washing machines) – to become bigger and more moist. Seen with my own eyes in Devon, UK.